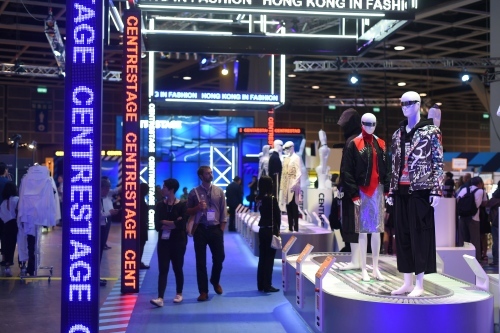 CENTRESTAGE 2018 opens today at the Hong Kong Convention and Exhibition Centre. 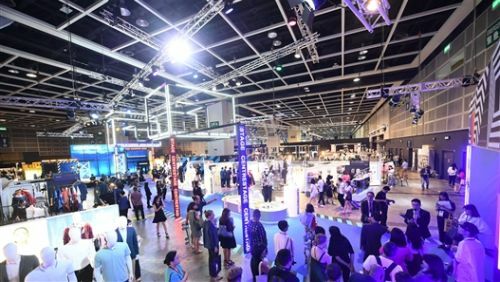 The four-day event (5-8 Sept) is buzzing with activity and excitement, with the participation of a record-breaking 230 brands, representing the cream of the crop from 22 countries and regions. This year's CENTRESTAGE centres on the theme of "TOMORROW LAB". It features three thematic zones: ALLURE - representing craftsmanship, refinement and elegance; ICONIC - displaying contemporary, chic and avant-garde designs; and METRO - showcasing casual, youthful expressions of urban life. FASHIONALLY COLLECTION #12 designers close the fashion show by parading down the runway alongside models wearing their newly unveiled pieces.